I’m on a hunt for my perfect laptop bag. I don’t want to be seen lugging around with that boring black laptop bag, I want some color please! 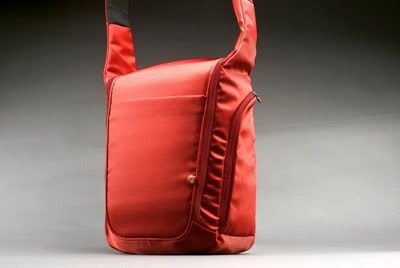 I’m looking for a laptop bag that doesn’t look like it, I don’t want the serious corporate-looking ones. The bag must have extra room for storage, I’ll be carrying a 15-incher and I don’t plan on bringing along 2 big bags at the same time. This is my first time to spoil my lappy, and it’s been a week of hunting for the perfect bag but nothing seems to fit with my taste. And I was quite surprised that laptop bags can be soooo expensive. Be proud being a Filipino and showcase Pinoy Pride through the “tsinelas”. 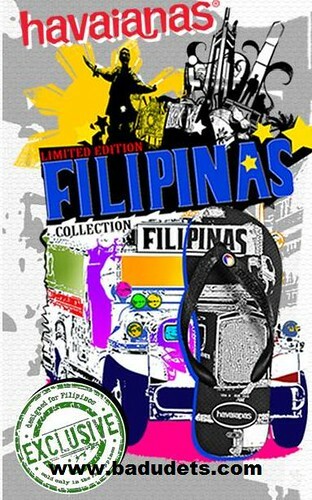 Havaianas Philippines brings another collectibles for the Havaianaticos, the 2009 Limited Edition Filipinas Collection. They will be released on June 12, 2009, in celebration of Philippines’ Independence Day. 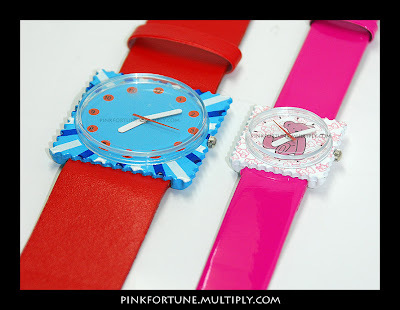 The collection is specially designed and produced for the Philippines, in very limited quantity. I wasn’t able to go to the Make Your Own Havaianas 2009 event this year, but these pairs will make up for it. The 2009 Belle de Jour Power Planner – every IT girl must have! Belle de Jour, which means “IT Girl”, is the planner that specifically caters to the ladies of this generation. Every fashionista, career-women and female college students covet to have this uber stylish planner. Exciting pages and features of this planner includes Expenses Tracker, Menstrual Period Tracker (yes! ladies need this), Goal Planning, Travel Planner and Birthday List. Aside from its colorful pages and features, the planner also includes discount coupons from different shops/boutiques/salons/restaurants such as All Flip-Flops, Freeway, David & Goliath, Charles & Keith, Azta Salon, Cupcakes by Sonja, Ace Water Spa, Heaven & Eggs and a lot more! With all the discounts that can be availed using the coupons, it’s as if the planner comes for free. I’ve been using the Starbucks Planner for two years now, the excitement of collecting stickers just to have the planner is the challenging and exciting part. The worst part is that I get to spend a lot for a Php 160 coffee more than the usual for the stickers. Unfortunately, the 2007 planner I had was kept unused because it’s heavy. The only thing I was able to use is the ballpen that came with it. Thankfully, the 2008 planner is less bulky that’s why I was able to use and bring it with me. What I miss the most with Starbucks planners are the coupons wherein I can get free coffee, sigh! Plus, I find the planners a little boring because it lacks a color and it’s a little serious. And for the year 2009, I will be a Belle de Jour planner convert, yey! I reserved 4 copies for the BDJ planner, why 4 copies? I might be giving them as gifts for Christmas for my girlfriends, (hint!) Anyway, for those of you who wants to reserve, just go to their website, http://www.belledejourpowerplanner.com/, and fill out the reservation form. Suggested retail price for the Belle de Jour Planner is Php 598.